Good lord, I love the smell of fermenting grapes in the morning. Anytime, really – I’ll be honest. It’s something I was worried I’d miss out on for the entire 2013 harvest season. Fortunately, Tala and I paid a visit to Greg Perrucci at Perrucci Family Vineyard on the outskirts of San Jose this past weekend, and I got a noseful. And a glassful. (See what I did there?) Greg has been a mentor and a force for good in Tala’s garagiste universe, coaching her through many anxious moments and home winemaking questions – it was high time that we went to visit the facility and vineyards. We met Greg and his family at one of their Cabernet Sauvignon vineyards, as they were wrapping up harvest of the grapes. 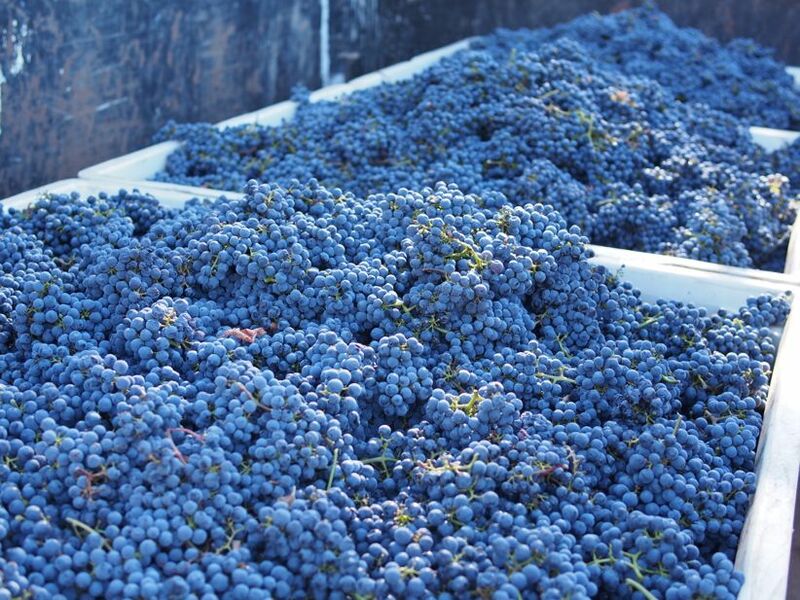 It was beautiful – as vineyards at harvest always are – and the sky had that crisp blueness that Autumn brings. They picked about 4400 pounds of Cab grapes on Saturday, all by 10am. The group made quick work of the small, sloped vineyard, and Greg drove the trailer back to the Perrucci homestead and winemaking facility, a short distance away. Tala and I followed behind in Tiny Car – the official Winelandia transportation vehicle. 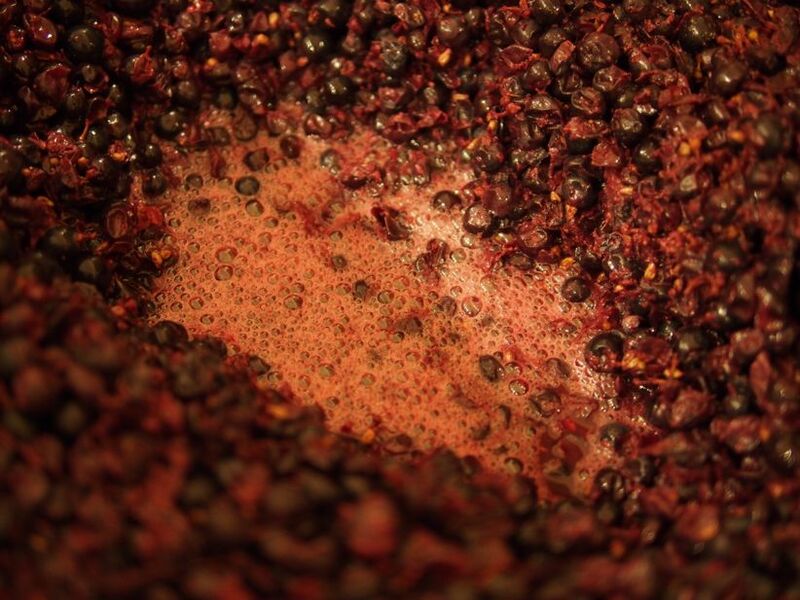 Once there, some of the team started destemming the Cab, while others tended to some of the in-progress wines, which is where I caught my first whiff of the pungent aroma of fermenting juice. We got to taste some Merlot mid-fermentation, as well as some fresh pressed Pinot that was awaiting yeast. These vibrant, juicy tasting experiences are the best part of visiting small producers, especially in the late summer and early fall. 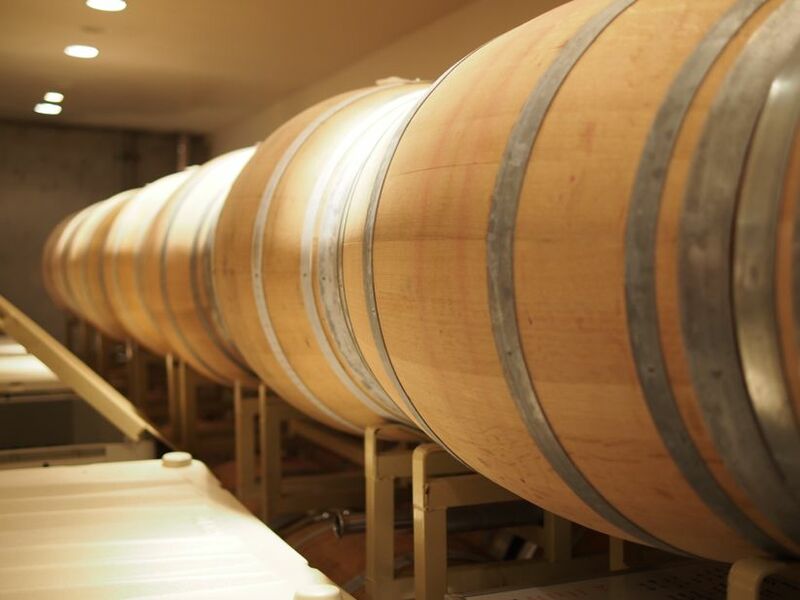 You get a sense of the work, and the magic, that goes into winemaking. It’s part art and part science. 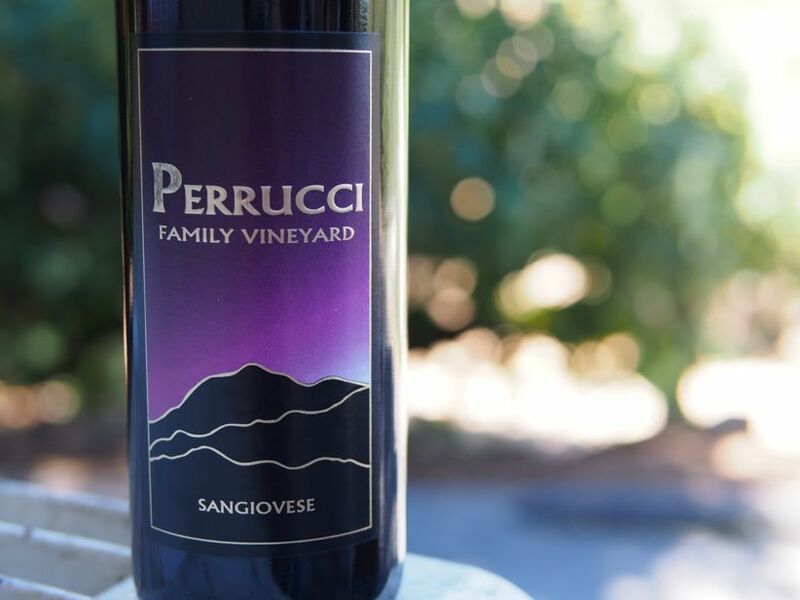 The Perruccis’ small family winery produces several different kinds of wines, mostly for club distribution and sales in local restaurants and wine shops. We tasted through several of their selections, including the Sangiovese, their red table wine, and two of their Cabernets. 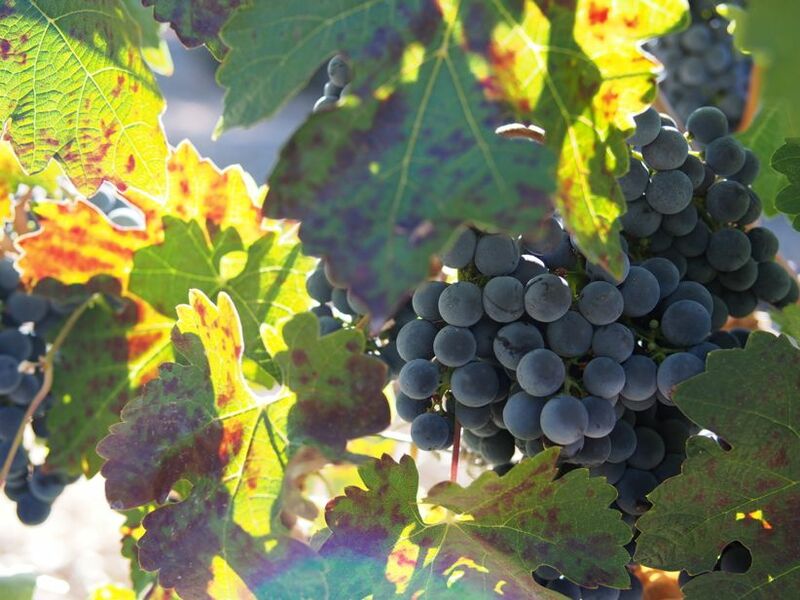 Their wines are approachable, affordable, and the family endeavor is really worth supporting. This is a small operation run by a great team with passion for wine and winemaking, and Italian charisma to spare. It was a great Saturday outing for the ladies of Winelandia, and well worth the visit. Hopefully we’ll be back to check them out again soon!